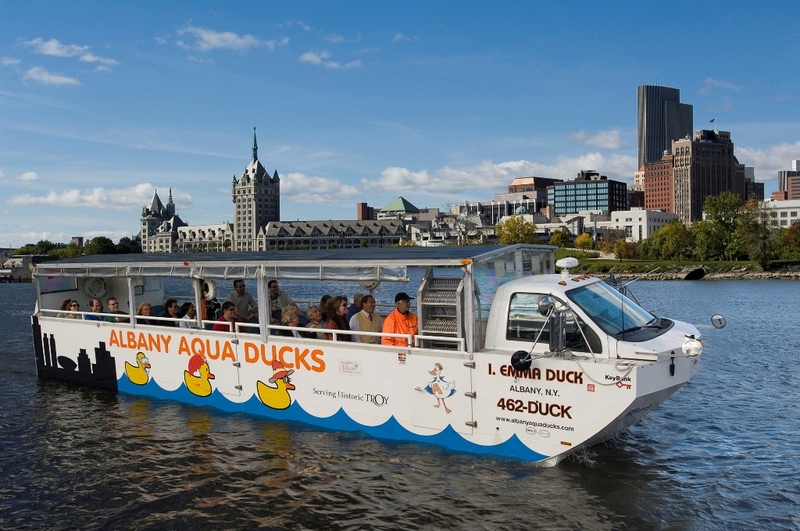 Get More Smiles Per Gallon with affordable New York State travel itineraries Albany, N.Y. - I LOVE NEW YORK has some timely news for summer travelers: you can have an amazing and affordable vacation in your own backyard on just a single tank of gas! I LOVE NEW YORK is inviting travelers to explore New York&apos;s enchanting Capital- Saratoga region through its More Smiles Per Gallon campaign, which features ways for travelers within driving distance of New York State to enjoy affordable getaways on a tank of gas. 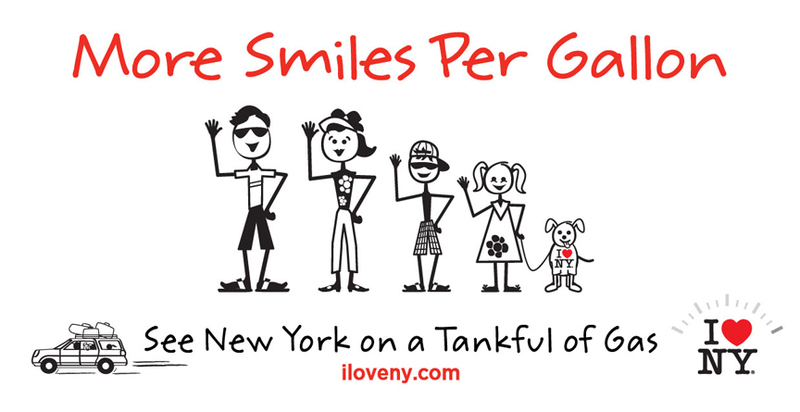 By visiting www.iloveny.com, you can choose and plan a New York State adventure accessible on a single tank of gas. Check out the destinations you&apos;ll be visiting and connect with local tourism professionals to find out more about dining, lodging, events, packages and promotions. Tankful of Gas Spotlight: Capital-Saratoga Region From treasures of art and architecture to world-class horse racing and polo, you&apos;ll discover rich cultural heritage and cutting-edge excitement in the Capital-Saratoga region. Catch headlining performers in modern performing arts centers and majestic Vaudeville-era theaters. Explore historic cities and charming villages surrounded by farmland and apple orchards. In Albany, see the Million Dollar Staircase in the magnificent Capitol building and take a cruise on the river named after Henry Hudson. Troy features great antique shops, a farmers market, and the highest concentration of Tiffany windows per square mile in the U.S. Just a few miles away, Schenectady&apos;s historic Stockade District preserves an era of Dutch settlement. Further north, walk a Revolutionary War battleground and experience Saratoga&apos;s famous mineral springs. You&apos;ll enjoy the eclectic mix this region has to offer! To start planning a great vacation in the Capital-Saratoga region that you can enjoy on as little as a single tank of gas, visit www.iloveny.com. Trip Highlights: Empire State Plaza - This unique architectural masterpiece in Albany houses a world-class modern art collection, multi-functional Convention Center, the New York State Museum, an observation tower and a stunning performing arts center. It&apos;s also home to the Summer at the Plaza concert series - an exciting line-up of free events from July through September. www.empirestateplaza.org New York State Capitol Building - Just across from Empire State Plaza is the New York State Capitol building. Take a free tour of this magnificent building, built between 1867 and 1899, to see its intricate architectural details and features, like its ornate staircase carved with 300 portraits of famous New Yorkers. www.empirestateplaza.org Albany Heritage Area Visitors Center - Discover Albany&apos;s history and heritage at the Visitor&apos;s Center and then take a ride on the trolley or hop aboard the Albany Aqua Duck (www.albanyaquaducks.com), an amphibious vehicle that tours Albany&apos;s historic neighborhoods and then splashes down into the Hudson River! The Visitor&apos;s Center also houses the Henry Hudson Planetarium, which features fascinating sky shows highlighting planets, constellations, galaxies and celestial legends. www.albany.org Crailo State Historic Site - In Rensselaer, explore a museum highlighting Dutch Colonial history in the upper Hudson Valley. The museum tells the story of the early Dutch inhabitants of the area through exhibits highlighting archeological finds from the Albany Fort Orange excavations, special programs, and museum guided tours. www.nysparks.state.ny.us/historic-sites/30/details.aspx Troy Waterfront Farmers&apos; Market - In Troy, stop to pick up fresh local produce, baked goods, and crafts while enjoying music, family activities, and Troy&apos;s many shops and cultural attractions. The weekday market is Wednesdays from 3 p.m. to 6 p.m. Each Saturday, thousands come to shop and enjoy live music, chef-prepared food, and fun, family activities. www.troymarket.org/ Dinosaur Bar-B-Que - Along Troy&apos;s scenic waterfront, Dinosaur Bar-B-Que features great food and live blues bands. It&apos;s the fourth and newest branch of a famous New York legend that began in Syracuse and is now nationally acclaimed and featured on TV travel and food networks. www.dinosaurbarbque.com/locations/troy/ Back to Nature in Grafton - A short drive east of Troy is the scenic town of Grafton. Check out the Berkshire Bird Paradise, one of the largest avian sanctuaries in the country, home to more than 1,000 birds and 100 different species. Refresh at Grafton Lakes State Park, located on a woodsy mountain. Go swimming or fishing, have a lakeside picnic, and hike or bike along the 25 miles of nature trails. www.birdparadise.org/; www.nysparks.state.ny.us/parks/53/details.aspx The Legendary Battenkill - For great outdoor fun, look no further than Battenkill Riversports & Campground in the Washington County town of Jackson. The Battenkill River is renowned for fly fishing as well as canoeing, kayaking, tubing and waterside picnicking. www.washingtonnycounty.com And They&apos;re Off! 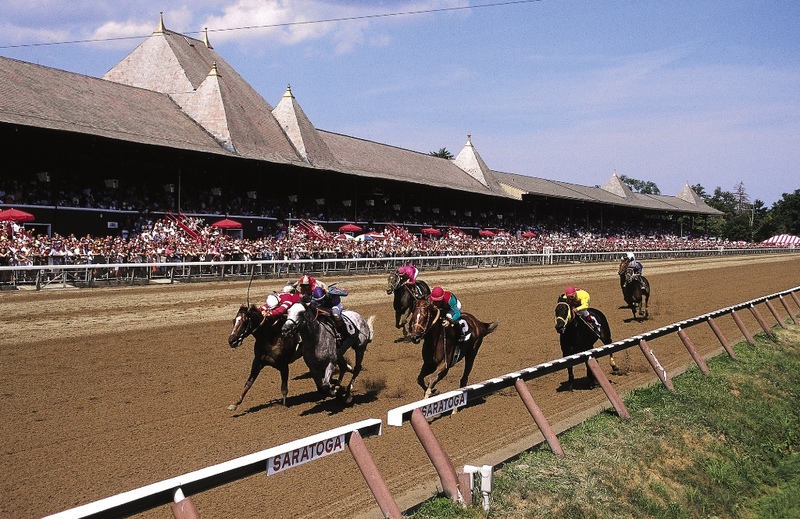 - In Saratoga Springs, get yourself a stylish hat (a local tradition) and watch the Thoroughbreds run at Saratoga Race Course, America&apos;s oldest racetrack. Go early to have breakfast trackside and watch the horses work out. Take a free 45-minute tram and walking tour of the track&apos;s historic backstretch area. The 2011 racing season runs from July 22 to Labor Day. www.nyra.com Saratoga Spa State Park - This beautiful and historical state park in Saratoga Springs features the famous mineral springs, the elegant Avenue of the Pines, lush trails, and scenic picnic grounds. It also houses many cultural treasures: the Saratoga Performing Arts Center, Spa Little Theater, National Museum of Dance, Saratoga Automobile Museum, The Gideon Putnam Resort and the Roosevelt Baths and Spa, offering bubbling mineral baths and spa treatments. www.nysparks.com/parks/112/details.aspx Where the Stars Shine - While in Saratoga Springs, catch an exciting show in the 5,000-seat outdoor amphitheatre at Saratoga Performing Arts Center. Another popular tradition is to bring a picnic and stretch out on the lawn. The hot summer schedule includes top pop stars, the New York City Ballet, the Philadelphia Orchestra, opera, chamber music, and cool jazz festivals. 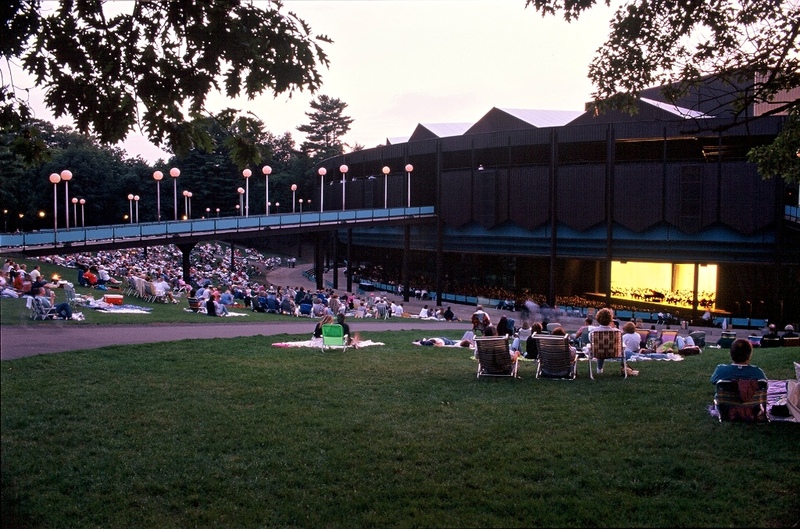 www.spac.org/ Fun for the Whole Family! - West of Saratoga Springs in the town of Broadalbin, your family will have a fun-filled time at Eagle Mills Cider Company and Family Fun Center. Enjoy cider (from a water-powered cider mill), homemade ice cream, fudge, baked goods, and family fun activities like gemstone mining, a dino dig, a petting goat junction, train rides and a large play area. Two weekends of craft fairs in September at Eagle Mills host 10,000 people per day (Sept. 17-18; 24-25). Also in Broadalbin is the largest zoo in Upstate New York, Adirondack Animal Land, a family owned and operated wildlife park that provides a home in all natural settings for over 500 animals. www.eaglemillsfun.com/ www.adirondackanimalland.com A Walk Back in Time - One of the oldest and best preserved neighborhoods in the United States, with roots dating back to a 17th century Dutch colonial trading settlement, is tucked away in the City of Schenectady. The Stockade Historic District is a fascinating treasure chest of historical and architectural wonders that was home to all of Schenectady&apos;s most important 17th, 18th and 19th century figures. Every year, special homes in the district are opened to the public for the annual Walkabout and Waterfront Faire- residents welcome visitors inside their homes and guide-led tours offer insights to the neighborhood&apos;s history and diverse building styles. www.historicstockade.com/ Seeing Stars in Schenectady! - Browse fascinating exhibits on history, art, science and technology at the Schenectady Museum. Kids get stars in their eyes, and you will too, at dazzling sky shows in the Suits-Bueche Planetarium. www.schenectadymuseum.org/ To see another kinds of star, take in a show at Schenectady&apos;s Proctor&apos;s Theatre, a majestic Vaudeville-era palace that dazzles with its grandness as well as its full schedule. Shows include traveling Broadway hits, musicals, pop and classical music, dance and movies. www.proctors.org For full details on this excursion, including a point-by-point map and contact information for local travel agencies, visit www.iloveny.com. Selected Current and Upcoming Regional Events Albany Alive @ Five - This free, outdoor summer concert series takes place every Thursday in Albany through Aug. 8. (www.albanyevents.org) Freihofer&apos;s Saratoga Jazz Festival - The Northeast&apos;s hottest jazz festival, this extravaganza features over 20 extraordinary artists performing on two stages framed by the lawns and majestic pines of SPAC&apos;s home in the Saratoga Spa State Park. June 25-26. (www.spac.org) Open Studio Tour of Washington County - Join fellow art enthusiasts as you travel from studio to studio throughout scenic Washington County. Fifteen award-winnings artists with national and international reputations are selected by a jury. July 16-17. (www.studiotour.org/) Troy Pig Out - Professional BBQ teams compete in this officially sanctioned Kansas City BBQ event. The winner will be qualified to attend the National Championship. BBQ vendors and live music fill Riverfront Park on Saturday and Sunday with a special fireworks show on Saturday night over the Hudson River. July 16 & 17 (www.troypigout.com) The Albany Riverfront Jazz Festival - Enjoy cool water and hot jazz at Albany&apos;s Riverfront Amphitheater for one incredible day of music. Sept. 10. (www.albanyevents.org) Stockade Villagers Outdoor Art Show - The 60th Stockade Art Show continues a Schenectady neighborhood tradition in New York State&apos;s first historic district. Enjoy the neighborhood ambiance and the art as you walk around Lawrence the Indian sculpture on the appealing Stockade streets and chat with the artists. Sept. 10. (www.sayschenectady.org) For local Capital-Saratoga region travel information: Capital- Saratoga Region (www.capital-saratoga.com) Albany Convention & Visitor&apos;s Bureau (www.albany.org/) Fulton County Tourism Department (www.44lakes.com) Rensselaer County Tourism (www.renscotourism.com) Saratoga County Chamber of Commerce (www.saratoga.org) The Chamber of Schenectady County (www.sayschenectady.org) Washington County Tourism (www.washingtonnycounty.com) About New York State New York State features 11 beautiful vacation regions. New York&apos;s attractions span from landmarks such as Niagara Falls to the wine trails of Hudson Valley and treasures like the Baseball Hall of Fame in Cooperstown. Whether it&apos;s wide-ranging outdoor activities for the whole family like fishing, hiking and boating; culinary wonders and farm-to-table fresh foods; or the rich history and culture of one of the 13 original colonies, New York State offers diverse activities for all travelers. For more information visit http://www.iloveny.com/. Media can find press releases and more at http://www.thebeat.iloveny.com/. You can also get I LOVE NEW YORK updates and information on Twitter: www.twitter.com/I_LOVE_NY Facebook: www.facebook.com/iloveny Flickr: www.flickr.com/photos/officialiloveny YouTube: www.youtube.com/OFFICIALILOVENY About Empire State Development Empire State Development is New York&apos;s chief economic development agency and administrator of the statewide business resource portal New York First (www.NYfirst.NY.gov). The mission of Empire State Development is to promote business investment and growth that leads to job creation and prosperous communities across New York State. ESD also oversees the marketing of "I LOVE NY," the State&apos;s iconic tourism brand. For more information on Empire State Development, visit www.esd.ny.gov.